Emmanuel started a blog series highlighting the process of migrating a Microsoft Stack from a local VM to Microsoft Azure as well as the experience we had. If you missed that find it here. 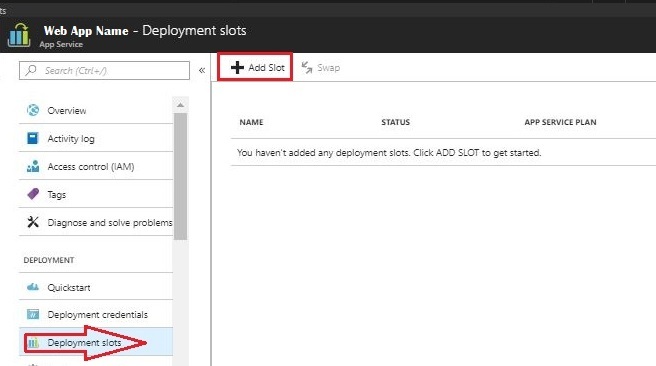 In this blog I will go deep into explaining how we implemented a CI/CD pipeline for the applications running on Azure App Service. Due to these built in features, setting up a CI/CD pipeline was more straight forward unlike when using virtual machines. 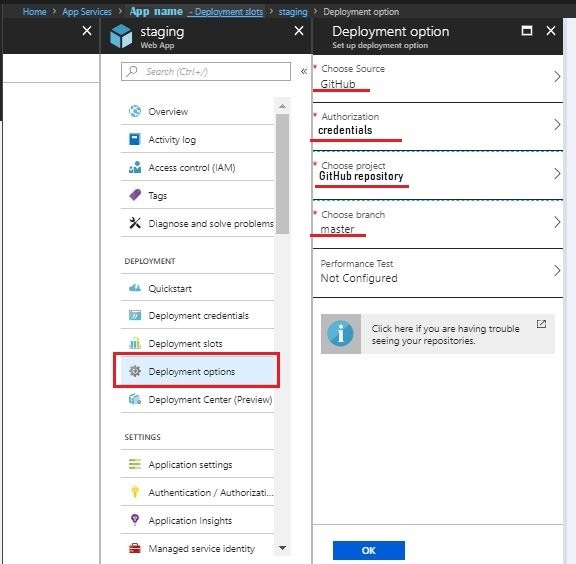 Using Azure App Service Migration Assistant, all the code was downloaded to a central location which will be used as a development environment. This is because the code base was very huge to download on a personal machine for all the applications. We then created a GitHub Team account that helps create unlimited private repositories and set team and user permissions. GitHub is a web-based version-control and collaboration platform for software developers. It is delivered through a software-as-a-service (SaaS) and can act as a secondary storage for your codebase. We pushed all the code to the new GitHub repositories on the master branch. You can have different configuration of test branches, feature branches etc as required. Next thing we did was configure the pipeline from Azure Portal. Below are the steps to follow to implement that. 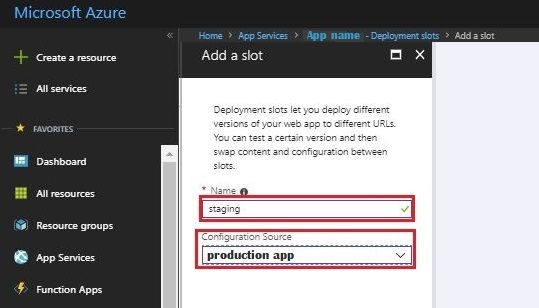 Provide a name for the deployment slot and configure source as the production environment. This setting helps set up the environment in a similar way to the production environment hence saving you time with basic configurations for the staging environment. To configure the source control, click on deployment options. Choose GitHub as the source, select the authorization credentials and the GitHub repository as well as the branch to build from as shown below. This configuration enables the changes pushed to GitHub to be automatically pushed to a testing/staging slot. Azure will start pulling the changes you have made on GitHub for the very first time and subsequently listen to new commits in the configured GitHub repository. To see if the changes are getting pulled from GitHub, you can click on the Deployment options on the menu and you will be able to see all the changes/commits that have been made and if they were successfully deployed or not. Note: Do not interfere with the pipeline when it’s building. Interference could be in form of pushing another chunk of changes to GitHub before the previous changes have been pulled to test/staging site. 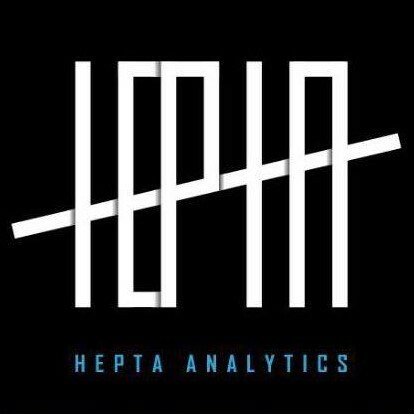 Test the application intensively while in the staging environment and once satisfied with the functionality, still while on the deployment slot, click on swap and select the source (staging) and destination (production) and the changes will appear on the production application without any downtime. This process can be repeated as many times/frequently as possible without requiring any configurations. With this set up, it is very easy to make new changes in your code and move to production without any downtime. More importantly, you are able to test your code for any bugs on the staging environment before swapping the code to production. A CI/CD pipelines also facilitates collaboration where you can have multiple developers working on the same project simultaneously without breaking your production code. In the last blog series, Emmanuel will share highlights on lesson learnt from this experience and how to swiftly overcome some of the challenges that came our way in the migration. He will also be comparing Azure and AWS cloud platforms when doing migrations. Prev Climate Change, Its implications and how Big Data can be used to manage it.